HASSAN K, PELKONEN P, HALDER P, PAPPINEN A. 2012. An analysis of cross-sectional variation in energy consumption pattern at the household level in disregarded rural Bangladesh. Journal of Basic and Applied Scientific Research 2: 3949 – 3963. This study aims to examine household energy consumption pattern in disregarded rural areas of Bangladesh. Total 240 households from four upazilas located in four distinct agro-ecological zones were selected through multistage sampling techniques. Data were analyzed with different statistical tests to show the variation in pattern and quantum of household total energy and bioenergy consumption. The study revealed that all rural households used various types of biomass fuels, 98% used kerosene, 56% used electricity, 10% used candle and only 4% used LPG for their primary energy sources. The consumption of biomass fuels was 219 kg household-1 month-1, where the largest share derived from firewood, which amounted 94 kg household-1 month-1. The consumption of biomass fuels varied in regions and by socio-economic groups. The total energy consumption from all types of fuel was 3.16 GJ household-1 month-1, whereas the share from biomass fuels was 2.95 GJ, which accounted more than 93% of the total primary energy supply. The study estimated that household per capita total energy consumption was 6.45 GJ person-1 year-1 whereas the share from biomass fuels was 6.03 GJ. The energy expenditure was 506.58 BDT household-1 month-1, whereas the expenditure for biomass fuels was nearly one-third of the total energy expenditure. The analysis showed that family size, per capita income, per capita homestead area and per capita agricultural land influenced household biomass fuels consumption. The study identified that due to limited supply of firewood many rural households selected inferior types of biomass fuels, which were unsustainable and inefficient. Thus, the study recommends for improving the current biomass fuel consumption pattern with more efficient and sustainable practices. 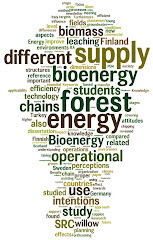 The information from this study is helpful to formulate policies support tools to take into account the future challenges for demand of biomass fuel resources, their sustainable utilization, promotion, and development.